The Asus Zennovation presentation has wrapped up and the famous Taiwanese electronics firm has released soooo many products. It launched many a gaming PC and accessory under its Asus ROG branding, a range of lifestyle innovation products, plus some interesting smart devices which I am going to focus upon here. 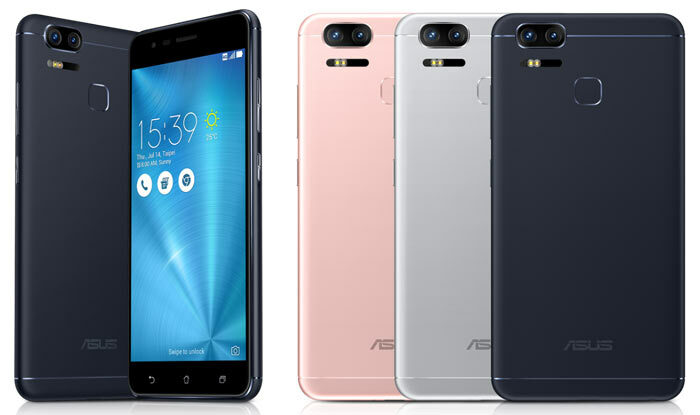 Asus has launched two Android 7.0 Nougat smartphones; the ZenFone 3 Zoom, and the ZenFone AR. It's been two years since the original Asus ZenFone Zoom was launched. The first model was a traditional looking smartphone but on the back was a bulky protruding camera assembly. This 11.95mm thick smartphone's 13MP camera featured a 3x optical zoom lens with OIS. With the ZenFone 3 Zoom Asus has taken a different tack and gone for the increasingly popular dual-lens camera setup. It uses 12MP Sony IMX362 sensors, one with an f/1.7-aperture, 25mm wide-angle lens, and a second with a 59mm lens. That provides a 2.3x optical zoom option and up to 12X digital zoom. It isn't clear if Asus can blend the images to achieve better quality in-between zoom settings or after shot refocusing and depth camera effects. The camera employs an improved TriTech+ autofocus system automatically chooses among three autofocus technologies; Dual Pixel PDAF, subject tracking autofocus, and second-generation laser focus. It can focus lock in just 0.03 seconds, says Asus. The camera's SuperPixel tech is said to boost the camera's abilities in low light scenarios with a claimed "2.5-times greater light sensitivity than Apple iPhone 7 Plus and 10-times that of an average smartphone." Round the front you have a 13MP Sony IMX214 selfie camera plus flash. Another standout feature of the ZenFone 3 Zoom is its battery. Asus has fitted a 5000mAh battery yet managed to keep the phone slimly constrained in a 7.9mm full metal body. With this capacious battery on board and a "powerful, efficient Qualcomm Snapdragon 625 processor" it provides users with up to 42 days of standby time. Alternatively you can east up the battery in 6.4 hours of continuous 4K UHD video recording. Interestingly the ZenFone 3 Zoom can also double up as a high-speed power bank for charging other devices. This new smartphone features Google Tango. Asus claims it is the first smartphone to be both Tango enabled and DayDream VR ready. This phone is thus designed for advancing mobile virtual-reality (VR) and augmented-reality (AR). 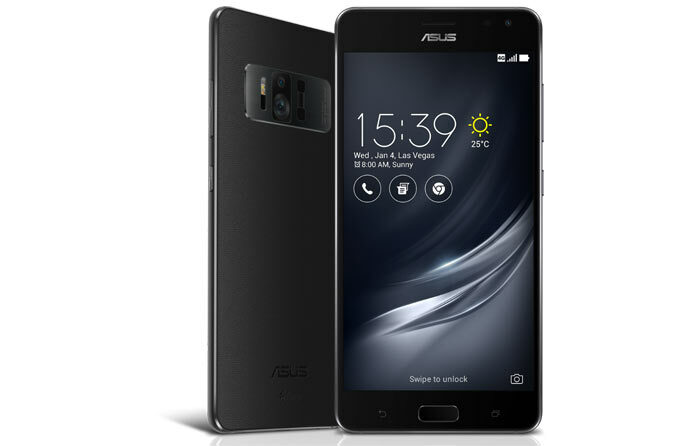 Asus claims that its new ZenFone AR is the thinnest and lightest Tango device yet. The Asus Tricam system is behind the slimming down of the Tango compatible hardware. Its main component is the optical array of three-cameras consisting of a 23MP main camera, motion-tracking camera, and depth-sensing camera. Powering the ZenFone AR is Qualcomm's Snapdragon 821 processor that is optimized for Tango. The processor gets plenty of breathing room thanks to the 8GB of RAM installed - a world first for smartphones. Flashing out its 5.7-inch next gen smartphone Asus has equipped a 5.7-inch WQHD Super AMOLED display and a new five-magnet speaker to make Daydream VR apps, games, and videos more immersive and entertaining. If you want to see more of the Asus offerings from the Zennovation show and you don't feel like anything so tiring as clicking links and reading then why not skip through the full presentation video below.